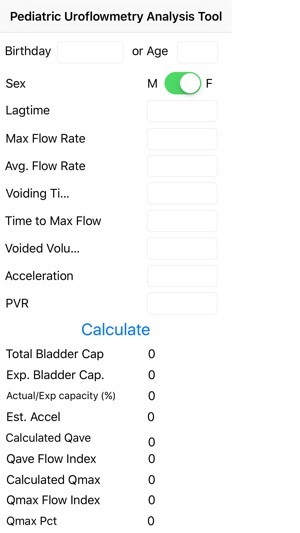 Pediatric uroflowmetry is an app that allows the user to identify the estimated average and maximum flow rates based on an idealized bell curve in children from 4 to 12 years of age. 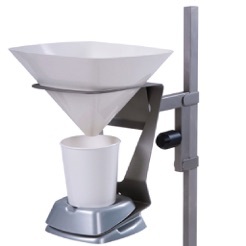 The estimated flowrate then allows for the development of a flow index which can be used to identify the flow pattern as well as a reproducible and easily followed tflow index from one Void to the next. 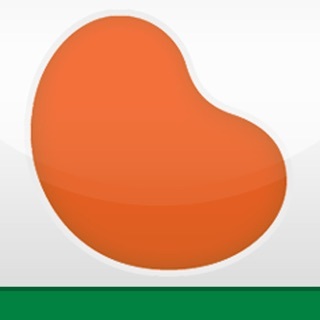 Suggestions on the diagnosis can be inferred from the flow index which is generated by this app. Updated equations and fixed issue where users were blocked from submitting their results.